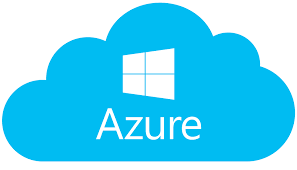 Azure AD provides some of the easiest to use and most powerful self-service capabilities available today. Azure AD Password Management is a set of capabilities that allow your users to manage any password from any device, at any time, from any location, while remaining in compliance with the security policies you define. There are many reasons why organizations use Azure Password Reset. It reduces cost, improves user experience, lowers help desk volumes, and enables mobility. The Overlake School is a private, college preparatory school located in Redmond, Washington. It serves 550 students in grades 5 through 12 and 150 employees. Jay Heath, The Overlake School’s Director of Technology, serves the school as chief technology visionary, solutions architect and coordinator of academic and infrastructure technology programs as they support the mission of the school. Vorsite is The Overlake School’s partner of choice for all services Microsoft. Vorsite has helped The Overlake School migrate to Office 365 and more recently, help solve The Overlake School’s process of resetting passwords and decreasing the amount of load on the IT Department. “When I started at Overlake, we were still requiring students and faculty to either use a school-owned device or visit the tech office to reset their password. It felt like 1995. With our move to more cloud computing and “Bring your own device”, self-service password reset was a critical feature to have”. 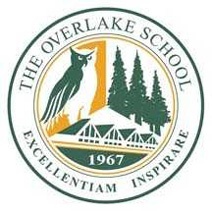 The Overlake School uses Office 365 for their email, file storage, and identity management. As a result, resetting and fixing passwords was a daily occurrence and problem. The IT Department at The Overlake School was constantly getting requests at the helpdesk, giving the team less time to focus on other priorities. This problem not only frustrated the team, but the students as well who were unable to access the important classroom materials or access their emails. To solve this issue, Vorsite integrated on-premises and cloud identities, and deployed Self Service Password Reset. Self-service password change allows end users or administrators to change or reset their expired or non-expired passwords without calling a helpdesk for support. “It’s been a win-win situation for everyone”. The Overlake School is now up to speed and has seen improvements since the deployment. Students and faculty can now resolve their own issues. The IT Department has a reduced workload and more time to focus on higher priorities since they are spending less time doing things for users that they prefer to do independently. The helpdesk doesn’t get nearly as many requests and it empowers students to take their security into their own hands. Since the deployment, The Overlake School has reduced IT costs nearly 20%. The Overlake School IT team has a much greater piece of mind knowing that people have security questions setup and the knowledge to reset their password wherever they are, on whatever device they have. “Vorsite has not only helped us solve this problem, but has been very helpful in architecting a strategic plan for technology at The Overlake School in the coming years”.